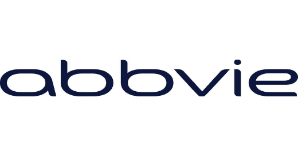 AbbVie Bioresearch Center (ABC) is looking for a Manufacturing Technician III/ IV to join their team in Worcester, MA. The Manufacturing Technician performs functions associated with cGMP manufacturing operations within the biologics production facility, including working with engineers in set-up and calibration tasks, as well as performing rework and quality testing related to the production of parts, components and final materials. Additionally, the Manufacturing Technician uses sophisticated programs (such as LIMS, SAP, automated control systems, etc.) to collect and evaluate operating data, which can be used to conduct on-line adjustments to products, instruments or equipment. Lastly, the Manufacturing Technicians determines and may assist in developing methods and procedures to control or modify the manufacturing process. Positions will be hired based on level of experience. Associates Degree or Bachelors Degree (or equivalent experience), with typically 2-4+ (Bachelors) or 4+ (Associates) years of relevant experience. As a skilled specialist, completes tasks in resourceful and effective ways. Often acts as a facilitator and team leader.